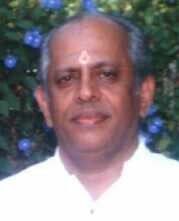 Born on 25.04.1942 to famous Veteran Kathakali Exponent Assan T.K. Chandu Panicker. 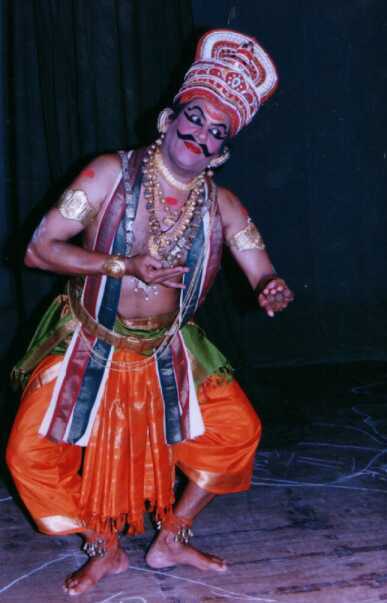 He had his training in kathakali under his father Chandu Panicker and in Classical Bharatanatyam under Smt. Rukmini Devi Arundale. Janardhanan was a recipient of Govt. of India scholarship for two years for advanced training in Kathakali and during this period, he had his training under late Padmasree Kalamandalam Krishnan Nair also for more than one and half years. Had taken Post-Diploma in Kathakali with distinction in 1996 and had been working in Kalakshetra since June 1966 as Kathakali and Bharatanatyam Teacher. Continues to participate in all the Dance-Dramas produced by Rukmini Devi in major roles since 1959. The performances given: Participated in all the Dance-Dramas produced by late Smt. Rukmini Devi Arundale since 1959 and staged at annual art festival at Madras and other cities in India. He continues to take part in the dance-dramas in lead roles even now. Had toured with the Kalakshetra troupe to Western European Countries, Nepal, Australia, Sri Lanka, Russia and China. Assisted Smt. Rukmini Devi in the international Ballet Competition held in Moscow in 1981. Important Roles: Almost all the major roles and mainly as Sri Rama in Ramayana, Buddha in Buddha Avataram, as Pandia King in Meenakshi Vijayam, as Rukmi and fortune teller and Bhishmaka in Rukmini Kalyanam, Bheema in Damayanthi Swayamvaram, King Nagaraja and Nanan (Minister) in Kannappar Kuravanji, Mahabali in Kurma-Avataram, Vajrasen and Utiya in Tagore's play Shyama, the Bhramin Ajamila in Ajamilopakhyanam and most of the male roles in Kathakali dramas. He has been invited to be external examiner in Dance by various universities and art centers in India as well as abroad. Choreographed two major Dance-Dramas for Kalakshetra "Karna Sapatham" in Malayalam and "Sri Purandara" in Kannada which were well received and appreciated. Prof. A. Janardhanan still with good phisique, is taking part in new productions and teaching both Kathakali and Bharatanatyam at Kalakshetra. At present he is the principal of Rukmini Devi College of Fine Arts, Kalakshetra Foundation.